Bijan Namdar Zanganeh, Iran’s Oil Minister said OPEC’s commitment to cutting production to clear a global glut is working, but the group needs to address rising output from Libya and Nigeria, said. Compliance with the output cuts is “acceptable,” Zanganeh told reporters Sunday in Tehran. The Organization of Petroleum Exporting Countries should focus on “the situation with Libya and Nigeria,” he said, referring to the two countries exempted from capping production due to their internal strife. Nigeria will be able to participate in cuts when its output stabilizes at 1.8 million barrels a day, Oil Minister Emmanuel Kachikwu said Friday. 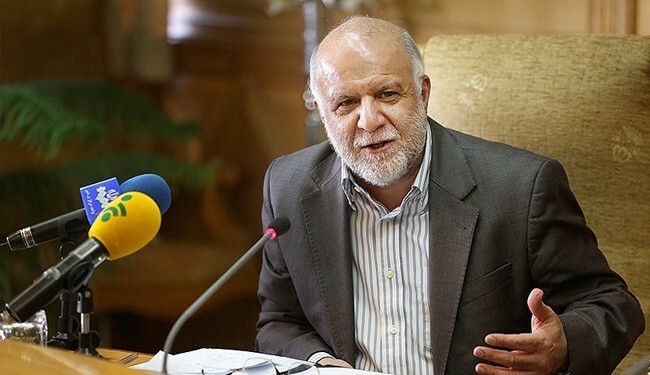 “OPEC’s actions are working and compliance is acceptable overall, although there needs to be some change,” Zanganeh said, referring to OPEC members’ compliance with their pledges to pump less. “Changes are really related to Libya and Nigeria and the 100 percent compliance of everyone.” He didn’t elaborate. OPEC and other global producers including Russia agreed to maintain output cuts through March to end a price rout that has battered their economies since 2014. Iran was part of the deal reached last year, though it was given special permission to raise output by 90,000 barrels a day. Libya and Nigeria were not part of the deal and have since increased production, complicating the efforts of the suppliers to reduce the glut. Benchmark Brent crude has dropped by about half from its 2014 peak. OPEC backs any action to help stabilize the oil market, and if a meeting is needed for the group to decide whether to extend the cuts that expire in March, “we’ll arrange it,” Zanganeh said. Nigeria’s production of 1.7 million to 1.75 million barrels a day has climbed from an all-time low of about 1 million barrels a day, Kachikwu said Friday in a Bloomberg TV interview. Output will be “back in full swing” in five to six months, he said. The United Arab Emirates, also participating in OPEC’s output cuts, is 100 percent compliant with its commitment to the agreement, and its crude exports have dropped as much as 10 percent in the past two months, Energy Minister Suhail Al-Mazrouei said Monday in Abu Dhabi. Oil prices should improve in the second half, and by next year crude inventories should decline to below their five-year average, he said. OPEC’s goal with the cuts is to reduce global inventories to the five-year historical average. When OPEC meets next, some members that aren’t subject to output cuts may be asked to join the agreement, Mazrouei said. “The meeting will discuss whether to extend the production cut and also the possibility of including some countries” that don’t already have an output cap, he said. Iran “will consider everything within the framework of our national interest and cooperation with OPEC,” he said when asked whether the country would adjust its output. Iraq supports OPEC’s efforts to pare oil output and clear a global glut even as the group’s second-biggest producer plans to expand its own capacity to pump more, Iraqi Oil Minister Jabbar al-Luaibi said Sunday at a news conference in Baghdad. The country’s plan to boost capacity to 5 million barrels a day by the end of the year won’t affect crude markets, he said. Iraq won’t export all of its additional output, he said. The nation pumped 4.49 million barrels a day in August, data compiled by Bloomberg show. Iraq is seeking to rebuild its energy industry after decades of conflict, and al-Luaibi sought to reassure oil markets a day before the country’s energy-rich, self-governing Kurdish area plans to vote on a referendum on independence. The central government opposes the vote, which many global powers say could create further instability in a region convulsed by war. The Kurds plan to include the disputed Kirkuk region, home to Iraq’s oldest producing oil fields, in the referendum. Oil should be left out of the political wrangling over control of Kirkuk, al-Luaibi said. Kurds, Arabs and Turkmens are all competing to control Kirkuk, making it a potential flashpoint for conflict. The Baghdad-run North Oil Co. is currently pumping 500,000 barrels a day in northern Iraq, he said. Iraq’s government is still in discussions with Royal Dutch Shell Plc, which quit Iraq’s southern Majnoon field and plans also to withdraw from the West Qurna-1 deposit, al-Luaibi said. It’s not talking with any other oil companies about replacing Shell, he said. “We have no problems in finding international companies” to replace the oil major, al-Luaibi said, adding that Iraqi staff are capable of taking over from Shell. Iraq will soon sign a deal with Iran to jointly invest in two oil fields, he said, without giving a date. It’s also in talks with Kuwait to jointly develop four fields and to ship surplus natural gas to Kuwait, he said.